You could think of this post as something missing from the five-part series Extreme Cold Adaptation in Humans that I wrote. Yes, even with all that I wrote I still missed a major component. When you enter cold water you feel a few different sensations. I talked about habituation and gasp reflex, peripheral vaso-constriction and mammalian dive reflex before, and I’m sure I will again. But I neglected to talk about one of the most obvious effects, the feeling across your skin.Depending on your experience the feeling may be severe enough that you can’t tell exactly to which sensation it is analogous. It might feel like fire or ice or boiling water or acid or lime, or as you’d imagine them. Those are thermoreceptors, only one of the four main types of touch receptors (extraceptors) in the skin. There are also pain receptors (nocireceptors). Ah, yes, there’s a difference. There are about 50 touch receptors per square centimetre of skin. 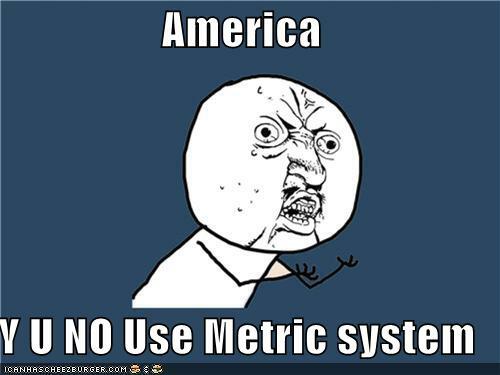 One square centimetre is equal to 2.4710538147 x 10-8 acres in American money! 🙂 (Engineer humour again). Anyway, the main sensory input from cold water comes from the thermoreceptors. Thermoreceptors are of two types, sensing both heat and cold. And … there are about four times as many cold receptors as heat receptors. And, the maximum density of cold receptors is where? Oh yeah, you swimmers know – there are more in the face and ears! Yes, the bits that hurt the most, and go cold the quickest. 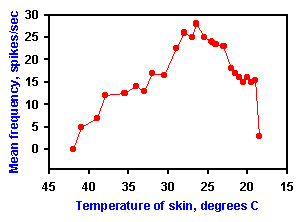 In The Nervous System in Action, author Michael Mann says “in estimating skin temperature, people are quite accurate in the region of normal body temperature, 37 ºC to 38 ºC, but they consistently overestimate higher and underestimate lower temperatures.” Interesting. I think after a certain time cold water swimmers develop a really good internal estimation system for cold. If Lisa or Rob tell me the water is 8 ºC, I believe them. Partly because of their experience, partly because of mine. That’s probably a surprise for many of us. I certainly thought I could detect a heat change (to warmer water) of maybe half a degree once I was swimming and cooled down. Of course unlike measuring temperatures before and after swimming, I’ve never had a way of checking this. And Mann has a nice experiment: “To convince yourself that these observations are accurate, try the following experiment: Fill three bowls with water: one lukewarm, one cold and one warm. Put the left hand in cold water, the right in warm water for a while and then place both in the lukewarm water. A clear sensation of warmth will occur in the left hand and a sensation of cold in the right. An important conclusion from Figure 5-8 is that the same temperature can feel either warm or cold depending upon stimulus conditions, i.e., the acclimation temperature”. (You could do that with just three glasses of water and hold them instead). Heat receptors start to perceive heat above 30 ºC. and continue to perceive heat until the maximum receptor stimulation which occurs at 45 ºC. Over 45 ºC, pain receptors take over to avoid (Stop! Heat! Burn!) damaging the skin and body. Cold receptors only start to perceive cold below 35 °C. Normal core body temperature is 37 °C. So you start to feel cold pretty quickly. And there is obviously a five degree cross-over where both hot and cold receptors are operating. I guess it is partly the balance of these two that help indicate level of comfort. Drum roll. At five degrees C. cold receptors no longer operate. Unlike with heat, the pain receptors don’t come into operation. So … you start to go numb, end of pain. So I’ve contradicted (I prefer clarified) my title. It’s not pain we feel, it really is cold. The intensity we feel comes as a consequence of the rapid and large change of temperature and that the body treats cold and heat as two different effects. The numbness is why so many of us end up with lacerated feet and legs (and in my case, fingertips, due to my tendency to go shallow on the third corner of Sandycove). Of course, if you now stay in the cold, you are on the way to hypothermia as you no longer have external receptors giving you feedback and you are relying on internal resources (intraceptors) and experience. Experienced several times exactly the same feeling in Altantic see (water at 17°C), my whole upper body heating up and even when geting out of the water I keep feeling warm.